Burmilla cat was originally developed in England, is the result of cross breeding cats. 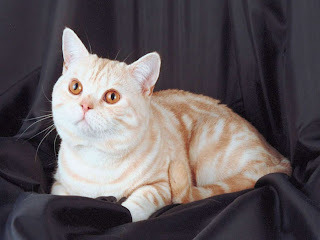 Burmilla cats are the offspring of cats and cat Chinchilla Burmese, Burmilla name itself is a combination of both ancestor breeds name is Burm-ese chinch-illa. Burmilla initially short-haired cat (shorthair), but in its development, there is also a long-haired. Burmilla word itself is a mix of Burmese and Chinchilla. New in 1984 races Burmilla recognized standard. Because the ancestors are also races Burmese Burmilla, the Burmilla cats have short fur gene. Some Burmilla kittens have short fur. Vice versa, because the ancestors of races as well Burmilla Chinchilla, Burmilla cats have long hair gene. Some children have long hair Burmilla cats. But only in 1997 recognized as a race Burmilla cats with genetic traits are stable. In the UK, Burmilla has gained recognition as a race in the Fife contest cats in 1990. 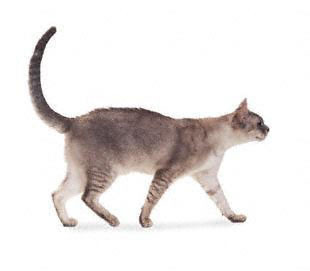 Burmilla is a cat of medium size, with physical properties similar to the Burmese. Burmilla has short hair, dense and soft. Dark colors such as "eye liner" around the green eyes is one characteristic of Burmilla. 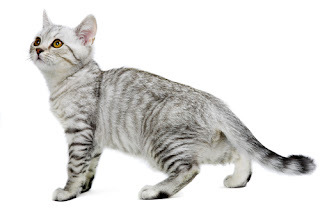 Burmilla breeds have fairly muscular body, slightly rounded face and short muzzle. Burmilla adult weight ranges from 4-5 kg. 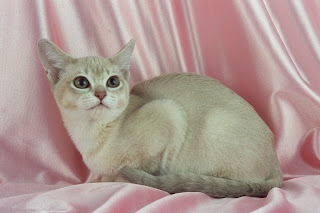 This medium-bodied cat races, including the type shorthair (short haired), with black, brown, lilac, chocolate, etc..
Burmilla Temperament is a combination of the Burmese and Chinchilla. They are active and playful like a Burmese general. But its not too over active as the original because it breeds Burmese Chinchilla offset by nature a quiet and graceful.